Globitel, a leading telecom and customer engagement solution provider, announced the release of a mobile application component added to its Workforce Management and Performance Management Platform solutions. The two systems fall under the company’s category of Workforce Optimization (WFO) solutions. By releasing this app, Globitel aims to help its clients in increasing agents’ sense of professionalism by instilling modern technological processes within the organization. 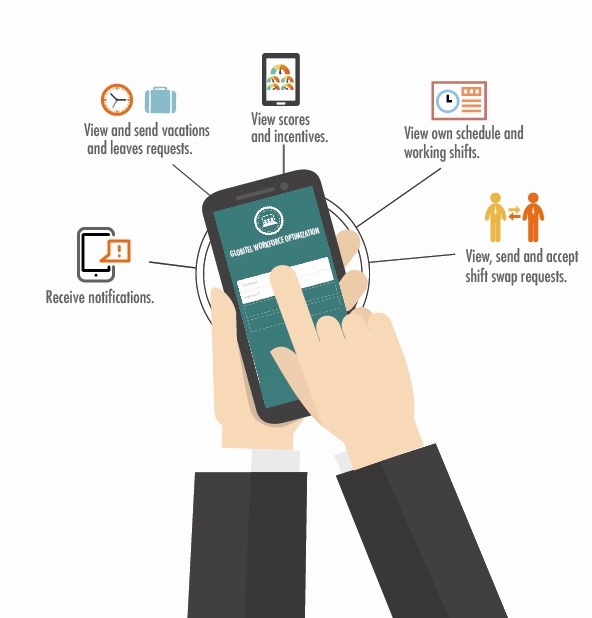 On one hand, Globitel announced that acquiring the application with the Workforce Management system will allow agents access working shifts, exchange shift swap requests, and view or make vacations and leaves requests through an easy interface. These processes are critical to lower administration costs. On another hand, Globitel’s Performance Management Platform assists in empowering agents by providing performance, scores and incentives monitoring for the agent, which will be available on the go when integrating this mobile application. “We are developing new ways of easing data access in times where mobility matters the most. The application will help our clients in the non-stop process of coping with the technological developments of the customer engagement industry.” Added Halawa.